With the resurgence of vinyl, its commercial potential has spread far and wide over the past few years. Organizations such as Record Store Day fight to keep vinyl alive and roaring, and so far, they have had great success. The vinylmania always seems to be the most potent in the electronic music scene. “Old school” DJs are always complaining about sync buttons and digital DJs, constantly harping that real DJs use two turntables, a mixer and a crate of vinyl records. Many of these proper innovators of the dance music scene have extremely valid points. Today, it is easier than ever to become a DJ. All you need is a laptop and DJ computer software. DJs are not the only people who complain about the lack of vinyl in the scene either. Many attendees and listeners have also voiced their opinions that the scene has lost some of its potency and meaning since the vinyl days. 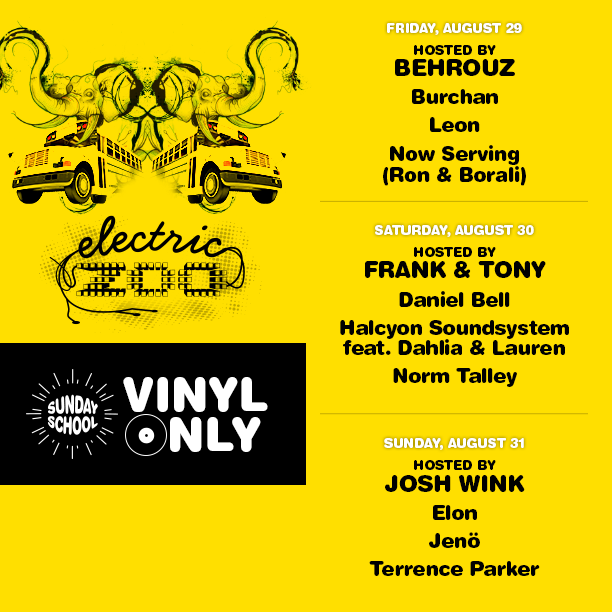 Electric Zoo Festival in New York City has announced a development that will certainly appease the vinyl lovers: an entire stage devoted solely to vinyl mixing. The vinyl only idea was first presented unofficially at this year’s inaugural Mysteryland USA Festival, and Electric Zoo will be giving the concept its first official test the last weekend in August. Featuring an entirely separate lineup from the rest of the festival, this stage will allow for the continued resurgence of the vinyl record and hopefully refuel a comeback in vinyl mixing among the dance music scene. After a rough end to last year’s festival, we are certainly glad to see the return of Electric Zoo to Randall’s Island with a renewed sense of strength, safety and innovation.